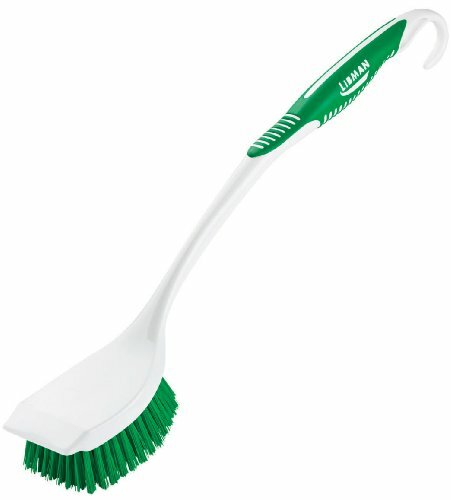 Libman Long Handle Scrub Brush has strong bristles tough enough to do any job. Measuring 19" from tip to tip, this tool has a built-in scraper edge to remove stuck on messes. Works in Kitchens and Showers and has a hanger hook for easy storage. 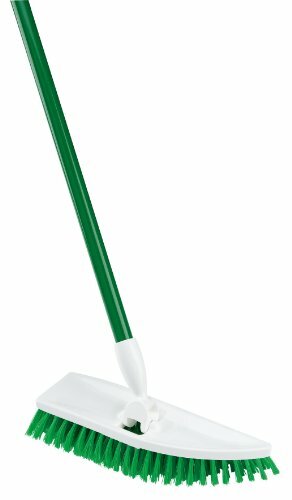 The Libman No-Knees Floor Scrub is an angled scrub brush attached to a handle, making it usable as a mopping implement or scrubber! With its pointed, pivoting head, this floor scrub is perfect for reaching corners and works great for getting tough grime off of smooth surfaces! 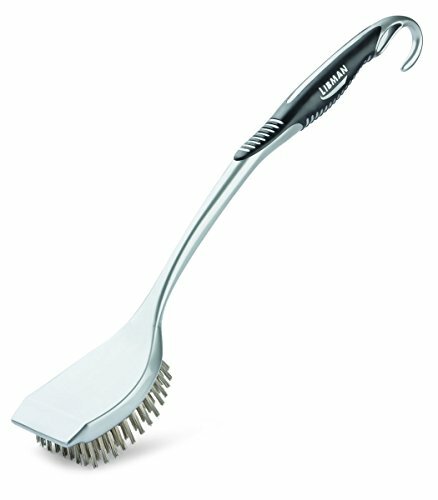 Libman Long Handle Grill Brush has brass wire and steel scraper to clean even the dirtiest grills. The 19" long handle makes cleaning the entire grill easy and quick. Hanging hook for easy storage. Libman Tile & Grout Brush has a comfortable handle with a narrow, curved head for getting into tight spaces. Great for use in the kitchen and bathrooms. 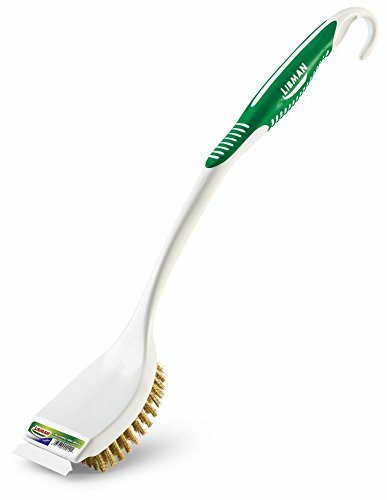 Libman stainless steel BBQ brush has 100 tufts of extra tough, 3/4" stainless steel fibers for a more powerful cleaning of those baked on particles. 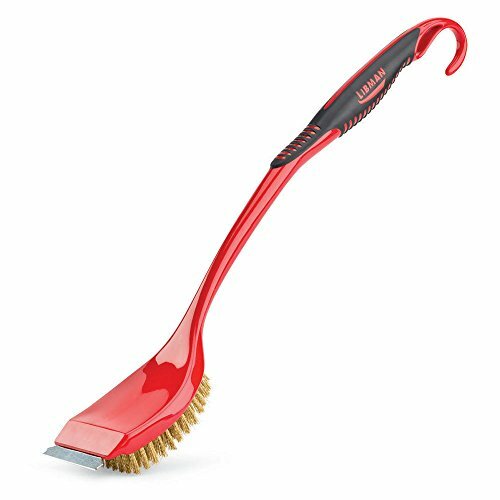 The Libman long handle grill brush (red & black) has 100 tufts of extra tough, 3/4 inch long Brass fibers. It is excellent for stainless steel and cast iron surfaces. 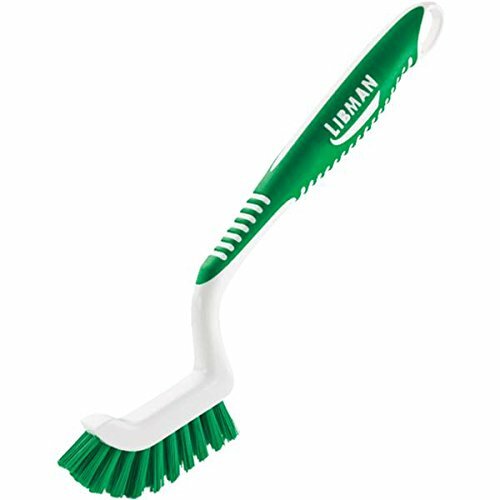 Libman Long Handle Utility Brush is great for a variety of surfaces including showers, grills, carpet and more. The nonslip handle gives you great leverage when scrubbing and allows you to exert a good deal of force without risking, sore stiff hands. Ergonomic rubber grip won't slip when wet. Hanger hook or hole for convenient storage. Built-in scraper edge to remove stuck on messes. Firm, flexible bristles for heavy duty cleaning. A long-handle grill brush, with the added strength and comfort of a dual-molded handle, the Libman Long-Handle BBQ Brush with Scraper features a quality design that does not lose any of the brass fibers! The hanger hook at the end provides easy storage and the extra-long handle allows for the safe cleaning of hot surfaces. This brush has a steel scraper on the end to remove stuck-on debris. 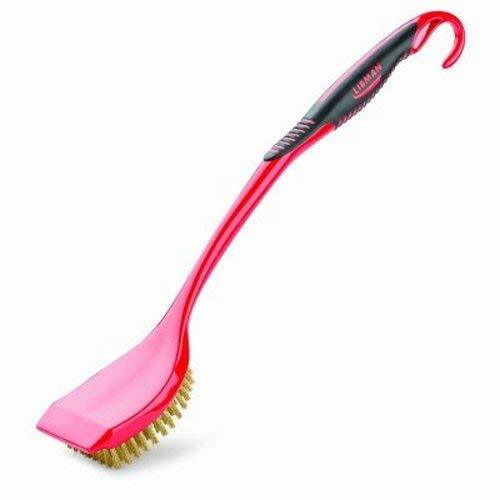 The Libman long handle grill brush with Scraper (red & black) has 100 tufts of extra tough, 3/4 inch long Brass fibers. It is excellent for stainless steel and cast iron surfaces. Wire grill brush cleans your cooking surface. 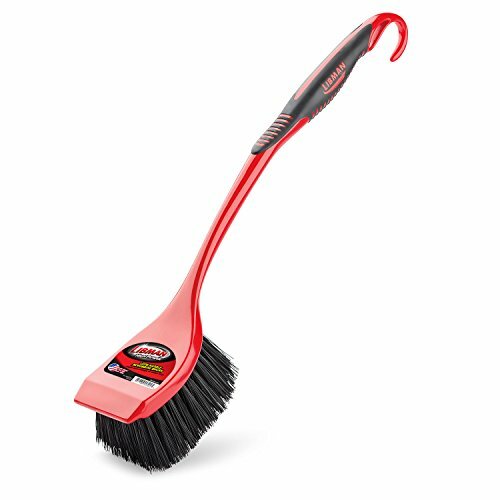 Keep your home clean with the Rubbermaid Professional Plus Long Handle Scrub Brush. Synthetic bristles have excellent bend recovery and break strength. This brush helps you get those tough cleaning jobs done. Floor squeegee. Blade is mounted perfectly straight to remove water from soft flooring surfaces. Excellent for driveways, garages and industrial sites. Ideal for removing water, chemicals and mud. Electrostatic powder-coated steel handle. Blade made form real, vulcanized, natural rubber. 24" squeegee blade. Manufacturer No. 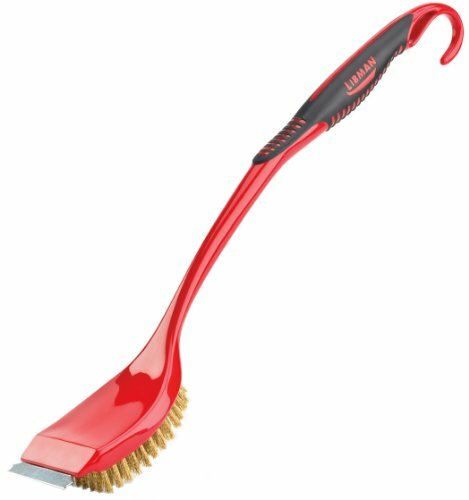 - 1042 UPC - 0717360104278'' long ergonomic rubber grip handle with hanger hole Durable 7/8'' polymer bristles Stiff scrubbing bristles scrubber BTI trading was established in year of 2012.We are allocated at US WA.The transportation to our store is very convenient.we are selling only high quality products we also selling our products world wide .At BTI we sure you can find all the product that you want. Connects to any standard garden hose. The Elitra swivel grout scrubber works away grime and grout from the shower, tiles and all hard to reach areas. The tough and durable bristles do a thorough and tough cleaning but are gentle enough not to scratch any surfaces. The “V” trim on the bristles allows the brush to easily fit into narrow or wide grout spots. The brush measures 9" long x 1-1/2" wide . Scrubber swivels and pivots for the best cleaning angle. The length of the handle extends from 29 inches to 52 inches for just the right length for any type of cleaning and comes with a handy hang up hole for simple and easy storage. Detach the scrubber and clean with water. Telescopic Extendable Window Squeegee Cleaner Wiper Long Handle Washer Scrubber ! !This window squeegee is ideal for cleaning and wiping your car/home windows and mirrors. Synthetic sponge wide head covered with durable nylon mesh for perfect scrubbing and rubber wiper will dry/wipe the windows without leaving any remarks. Long extendable aluminum handle provide the ability to clean hard to reach places and can be tightened to desirable length. De mountable/separable head for easy storage. It extends from 24" to 35". Boardwalk Metal Tip Threaded Hardwood Broom Handle, 15/16" Dia x 60"
The Boardwalk Metal Tip Threaded Broom Handle is the ideal choice for a strong cleaning instrument. This handle has a smooth grip that will allow you to clean up easily. This hardwood broom handle has a die-cast aluminum threaded tip that is secured to the natural handle. It measures 15/16" in diameter and 60" long. This broom handle will stand up to the demands of your workday, giving you the strong support and professional clean you need. 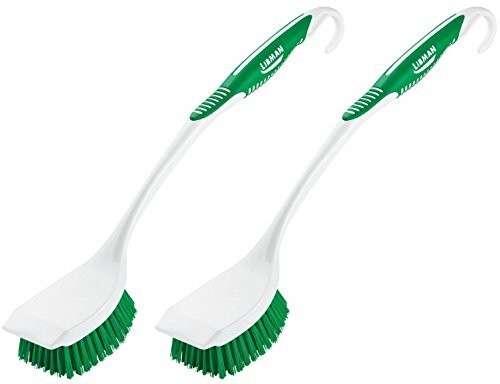 Looking for more Libman Long Handle similar ideas? Try to explore these searches: Implementing Transfer, Ston En015 Sage, and Duckie Dress. BlesDeal.com is the smartest way for online shopping: compare prices of leading online stores for best Libman Long Handle gift ideas, Libman Long Handle deals, and popular accessories. Don't miss TOP deals updated daily.